It has been a mistake to read this book. I bought it one month ago trying to read something easy in English (to buy it was a previous and bigger mistake). I had this book in my short list of "possible readings". I cannot say how. I'm still surprised. 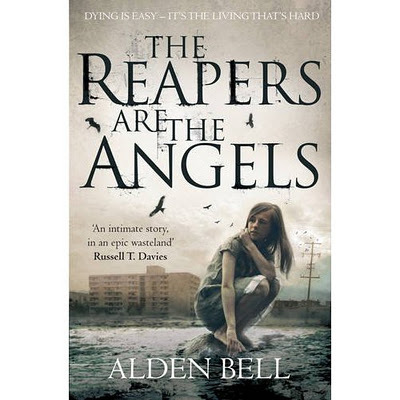 The reapers are the angels is a "young adults" fiction book. With a young girl, Temple, as main character wandering around United States in an apocaliptic era. With (how could I stand it!) zombies (living deads) and mutants (something close to zombies but somehow different). And also with other human survivors more or less well-balanced. The characters are very poor, the story is even poorer. 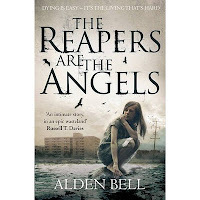 The author seems to put the stress first in making a young girl able to kill; defy men, mutants and zombies; share her bed with the man she choses and live on her own. Secondly the author enjoys describing bodies in different stages of putrefaction and fightings with brutal wounds, amputations and generous amounts of blood. Why did I read it to the end? Because it was in English and my aim was also to practise the language. Because it was an easy reading. And because I had bought it. 2/5.